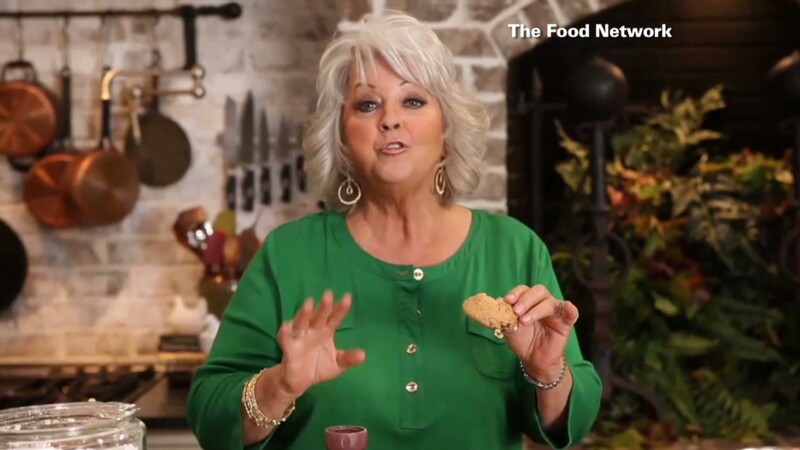 Paula Deen fallout: A mess for suppliers? As retailers dump Paula Deen, suppliers of her kitchenware and other goods could be stuck with a lot of unsold merchandise. As Paula Deen's home-goods empire unravels, companies making or distributing her products -- everything from pots and pans to dishes and scented candles -- may be left with a messy situation of their own. Several large stores, including the world's largest retailer Wal-Mart (WMT), announced last week that they would stop selling Paula Deen products. Target (TGT), Home Depot (HD), Sears (SHLD), J.C. Penney (JCP) and QVC also said they would discontinue her merchandise. 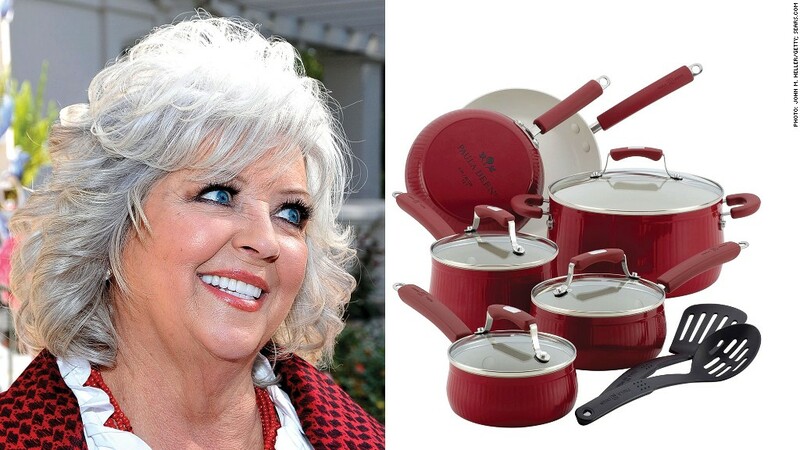 This puts suppliers of Paula Deen merchandise in a difficult spot, said industry experts. They may lose large, lucrative contracts with some of the nation's biggest stores that were buying her goods. They could also get stuck with lots of unsold Paula Deen merchandise that's still sitting in their warehouses and factories. "The suppliers will feel the real impact of her brand being dropped," said Marshal Cohen, chief retail analyst with market research firm NPD Group. Paula Deen Enterprises includes 17 different licensees and covers a broad gamut of products that include cookware, dishes, food products, a furniture line and greeting cards, according to her company's website. Much of this licensed merchandise is made overseas in countries like China, Hong Kong and Thailand. In fact, suppliers have imported 330 tractor-trailer loads of Paula Deen products in the last six years, according to Panjiva, a firm that tracks global shipments of goods coming to ports in the United States. One key supplier is Meyer Corp., a cookware distributor based in Vallejo, Calif., that holds a license for Paula Deen kitchenware and tableware. Meyer is the No. 1 importer of Paula Deen-branded merchandise, and has imported 75 tractor-trailer loads of her goods since July 2007, according to Panjiva. Michaels Stores Procurement Co. Inc. (a subsidiary of crafts retailer Michaels Stores) and MVP Group International, which makes the Paula Deen candle collection, are other top importers of Paula Deen merchandise. One silver lining for suppliers is that some had already been cutting back on Paula Deen goods. In fact, imports of Paula Deen products have been steadily declining since 2010, with the volume of last year's imports less than a third of their 2008 peak, according to Panjiva. At Michaels Stores Procurement, the 2012 volume of Paula Deen imports was just 18% of the 2010 total, according to Panjiva. The company said its supply chain "has not been affected by recent events as we have been phasing out Paula Deen merchandise since early 2013 for unrelated business reasons." Meyer Corp. declined to comment for the story. MVP Group could not be reached for comment. The last few years have been challenging for the celebrity chef. In 2012, Deen revealed she had diabetes and immediately faced criticism because some of her most popular recipes were far from health-food fare -- typically involving lots of sugar, butter and deep-fat frying. Deen's most recent troubles began last month when a deposition in a discrimination lawsuit was released in which she admitted having used the n-word in the past. Deen has insisted she does not tolerate prejudice. Paula Deen Enterprises could not immediately provide a comment for this story. Now, as Deen tries to quell the controversy and keep her business alive, it remains unclear what the fallout will mean for her long-standing suppliers. Cohen at NPD Group expects some of them could get stuck with unsold Paula Deen products.